pmdtechnologies is the world leader in time-of-flight (ToF) 3D sensors. With the PICO family, pmd offers powerful development kits in the field of 3D depth measurement for everyone. pmdtechnologies, founded in 2002, offers innovative 3D technology that enhances groundbreaking applications. They are the leading fabless IC supplier for Time-of-flight 3D image sensors that meet the highest specifications in terms of stability, integrated functionality and efficiency. Which industries does pmdtechnologies produce for? Using 3D technology, a wide range of various applications in all kinds of markets are enhanced. Anything from natural user interfaces powered by touchless gesture control to mobile robot navigation; the possibilities are endless. Counting applications, distance measurement and gesture recognition are all possible. Production processes are now enhanced, and performance is maximized with the use of pmdtechnologies and their reliable, efficient and intelligent 3D sensing technology. Using Time-of-Flight technology, the USB powered CamBoard pico flexx - 700.000.094 is the smallest 3D camera development kit on the market. With as small form factor and the low power consumption it enables a wide range of possibilities for 3D depth sensing applications. It also comes with pmd’s powerful suite Royal software including a visualization tool, the Royale Viewer. This contains all the logic to operate the 3D camera and is cross platform compatible. 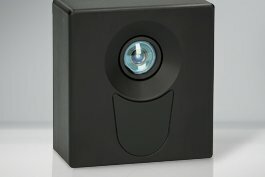 At Automation24 you can purchase cost-friendly 3D sensors from pmdtechnologies. This manufacturer is top of the line for 3D sensing technology and provides advanced solutions for revolutionary applications. For additional questions about the products from pmdtechnologies or other manufacturers, we are gladly available to help you via email, fax, phone or our live chat. You can find our contact information here.